The Great Ziggurat was built by Ur-Nammu (reigned 2113-2096 B.C.E.) during the Third Dynasty of Ur. This photo shows the reconstructed facade of the edifice, which was commissioned by Saddam Hussein in the 1980s. The building was intended to serve as a shrine to Namma, the moon-god (and patron of Ur). 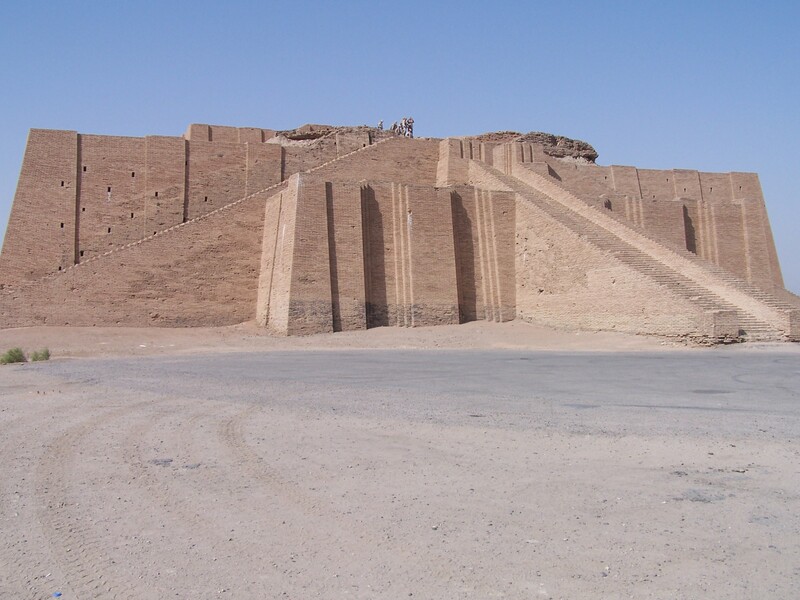 The ziggurat was completed by Shulgi (reigned 2094-2047 B.C.E.). It measures 205 by 142 feet (63 by 43 meters) at its base. Ziggurat is a word borrowed from the Akkadian ziqqurratu. Ziggurats were staged temple towers with no internal chamber, much more similar to the pyramids of the Mayas or Aztecs in South America than to the pyramids in Egypt. They consisted of many steps and often a chapel at the very top, where the god for whom the structure was built resided. It is possible that the story of the Tower of Babel in the Bible was about a neighboring ziggurat. This entry was posted in Cities, Third Dynasty of Ur, Ur, Ziggurats. Bookmark the permalink.